Oregon’s coastal mountains—the Pacific-flanking Coast Range as well as the Klamath Mountains of the southwest—aren’t especially high. But they account for some of the Beaver State’s roughest terrain and, in the Klamaths, some of its wildest. Historically, too, these maritime highlands supported some of the finest salmonid runs and most glorious conifer forests on the entire planet. In many places, these rough, bedraggled mountains come knotted with roads and clear-cut or crowded in second- or third-growth timber. Furthermore, unlike most of Oregon’s mountainscapes, big swaths fall under the ownership of private timber companies. But there are a few corners where primeval backcountry remains. 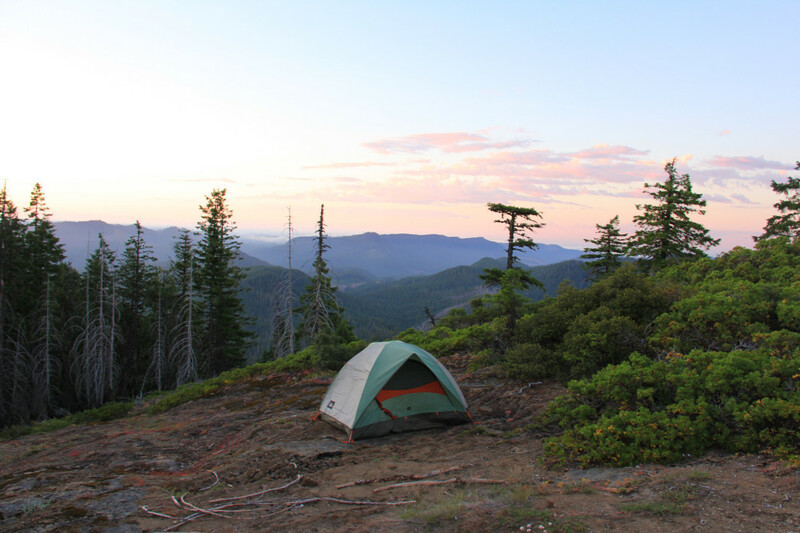 Seven federally designated wilderness areas lie in the Coast Range and maritime-zone Klamaths. Most are on the small side by the standards of the American West (though one of them—the Kalmiopsis—is expansive), but even the “pocket” wildernesses astound with their giant epiphyte-coated trees, their foaming whitewater, and their lonesome fern ravines. Here, we'll take you on a north-to-south tour of these coastal wildernesses, which promise primal adventure within a stone’s throw (or two) of Highway 101 and the North Pacific breakers. Tucked a few drainages inland in the town of Waldport’s hinterland, the 5,798-acre Drift Creek Wilderness protects a wild river gorge and one of the most significant tracts of old-growth in the Coast Range. Not all of the lush forest here is ancient: Big wildfires in the 1800s burned a lot of timber in the area, but plenty of trees survived—hefty Douglas-firs, notably, but also some old Sitka spruces, western hemlocks, and western red-cedars. The heart of the wilderness, set in sandstone and siltstone strata, is the twisty, steep-walled canyon of Drift Creek, a tributary of the Alsea River that enters it a little east of Alsea Bay. 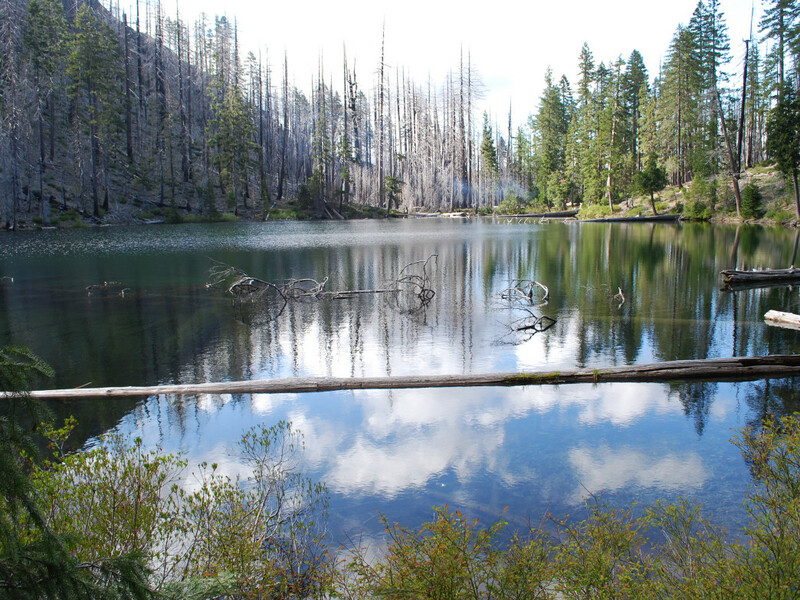 The highest terrain lies on the divide between Drift Creek and Trout Creek (the defile of which anchors the wilderness’s northwestern pocket). 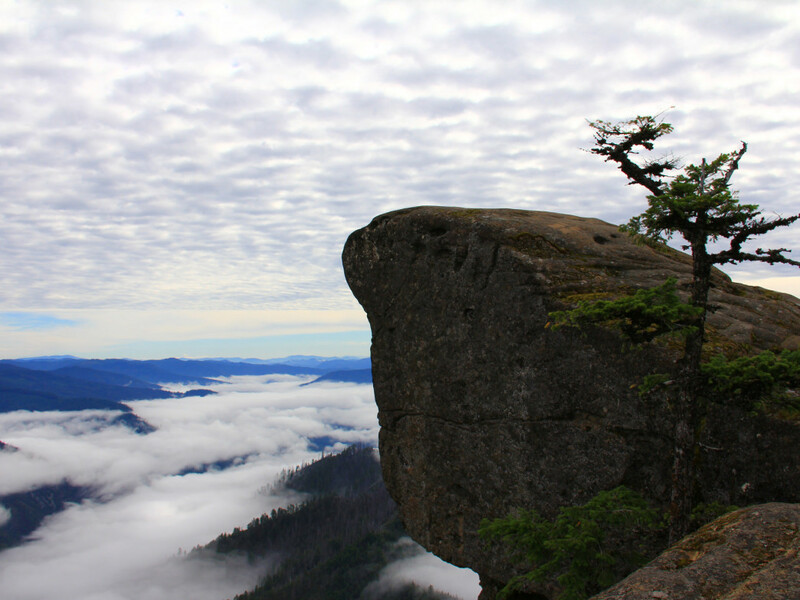 The divide’s crowning knobs top out at 1,650 feet. The Drift Creek Wilderness has long been a regional nesting stronghold for both spotted owls and bald eagles. Large mammals include Roosevelt elk, black-tailed deer, puma, and black bear. Drift Creek, meanwhile, offers top-grade Coast Range spawning waters for Chinook, coho, steelhead, and cutthroat trout. Three developed footpaths offer overnighters access to the wilderness: the Harris Ranch Trail on the south side, and the north and south segments of the Horse Creek Trail (a historic route), all starting at ridgeline trailheads and descending to Drift Creek. The 2.5-mile Harris Ranch Trail, accessed via Forest Road 3446, eases down some 1,200 feet to a riverside meadow, the location of an early homestead. The Horse Creek South Trail kicks off farther east on 3446 and follows Boulder Ridge into the gorge. The 3.5-mile-long Horse Creek North Trail, reached via Forest Road 5087, begins on an old track overgrown with salmonberry and alder saplings, then follows the Drift Creek/Trout Creek divide through some lovely old-growth Douglas-fir-hemlock stands before switchbacking down to Drift Creek. In the wet season, meanwhile, you can also kayak Drift Creek for some topnotch rainforest paddling. These gorgeous twinned wildernesses, separated north to south by only a few miles, are Oregon’s closest to Pacific surf (aside from the Oregon Islands Wilderness, of course). Hike their western slopes, and you’re in earshot—and occasional through-the-trees view—of pounding saltwater. They lie in a stretch of particularly sharp west-to-east basalt ridges between Yachats and Heceta Head, the seaward ends of which form steep bluffs and headlands. The 9,100-acre Cummins Creek Wilderness adjoins the Cape Perpetua Scenic Area (the namesake headland of which is, at some 800 feet, the highest point accessible by car on the immediate Oregon coast). The wilderness encompasses much of the Cummins Creek basin and all the Bob Creek basin to the south. Bracketed by Cape Ridge on the northeast and Tenmile Ridge on the south, its core is Cummins Ridge (the Cummins Creek-Bob Creek divide), which rises from Pacific fogbanks to Cummins Peak, just east of the wilderness boundary. 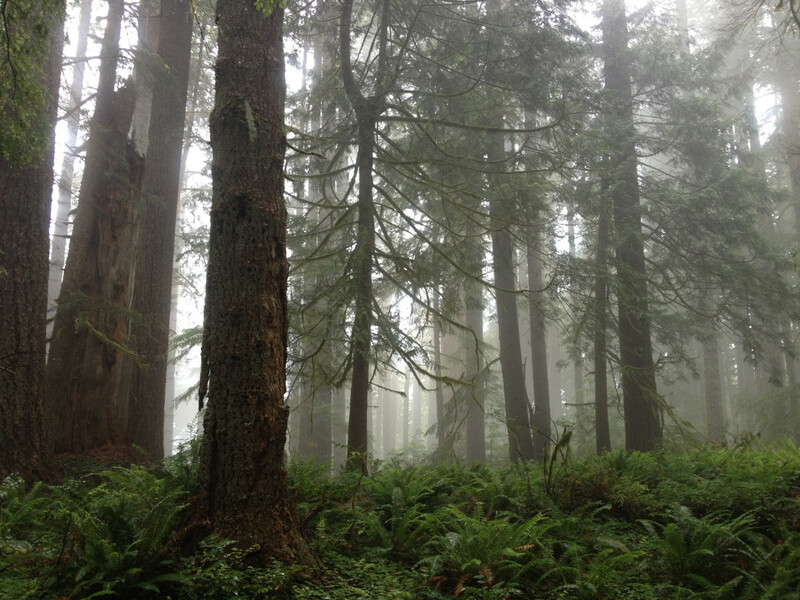 The Cummins Creek Wilderness protects some of the most extensive old-growth Sitka spruce rainforest left in the Oregon Coast Range. The only established trail here, a 6.5-mile path tracing the Cummins Ridge spine, shows off this magnificent ecosystem, where mossy barrel-trunked spruces tower over dense fern and shrub gardens. The spruces reign best within the zone of ocean fog; farther east along the ridge, Douglas-firs and western hemlocks become more prevalent. Reach the main trailhead via Cummins Ridge Road, a well-maintained gravel track that climbs up the west flanks of the ridge from Highway 101. You can get to the eastern terminus of the Cummins Ridge Trail via Forest Road 5694. Cummins Creek Road, meanwhile, offers access to the wilderness’s north side. The Tenmile Creek drainage separates the Cummins Creek Wilderness from the Rock Creek Wilderness to the south. Like its northern counterpart, this 7,348-acre wilderness comes anchored by a long west-east ridge: in this case, the high, narrow divide between Rock and Big creeks. There aren’t any official/maintained trails in the Rock Creek Wilderness, but a trace follows the divide crest, where a few scattered ridgeline meadows offer some of the only remaining habitat on the West Coast for the Oregon silverspot butterfly. You can also take an unofficial path upstream from the Rock Creek Campground; ultimately, wading up the creek itself (except during winter high water) becomes the most viable option. Bushwhackers can also drop down steep slopes into the wilderness off Forest Road 1055, which edges its northern boundary. The trails of Roosevelt elk, common in these steep rainforests, make some of the easiest throughways in both wildernesses for cross-country hikers. The big spruces and Douglas-firs also provide prime nesting sites for the marbled murrelet, a unique little seabird that forages offshore but broods on mossy canopy limbs of old-growth rainforest conifers. These two wildernesses, set in the far northwestern frontier of the Klamath Mountains, protect valuable pristine portions of one of the Oregon Coast’s finest salmon and steelhead watersheds: the Elk River, which forms the southern border of both. Important Elk tributaries head in the 17,148-acre Grassy Knob Wilderness in the west, while to the near east the 13,738-acre Copper Salmon Wilderness —only established in 2009—includes most of the river’s North and South Forks. The Middle Fork of the Sixes River, meanwhile, rises in the Copper Salmon, and the Grassy Knob encompasses most of the basin of a large Sixes tributary, Dry Creek. A Forest Service road hugging Butler Creek is all that separates the two wildernesses at their closest point. There’s quite the mix of vegetation communities here, from lush temperate rainforests on the north-facing slopes and along streams, to mountaintop woods double-layered with Douglas-fir and tanoak and mossy ridgecrest live-oak jungles. Significantly, the Grassy Knob/Copper Salmon complex harbors old-growth groves of giant Port Orford-cedar, naturally restricted to the coastal Klamaths and now gravely threatened by an introduced root-rot fungus. 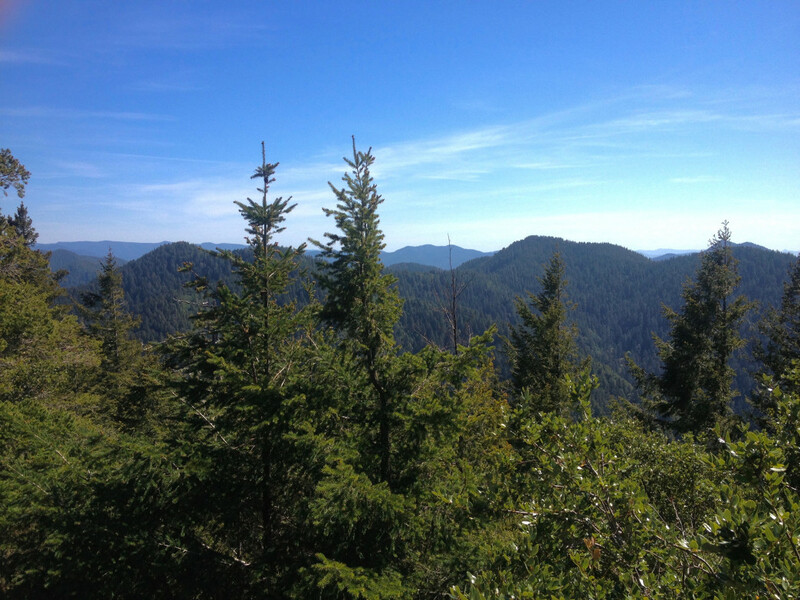 You can hike a short trail in the Grassy Knob Wilderness to the overgrown site of a former fire lookout atop 2,342-foot Grassy Knob itself; the vista includes the Pacific, the burly oceanside dome of Humbug Mountain, and, southward, the rumpled Klamaths. A path of sorts continues east along the ridgeline toward Anvil Mountain, but it’s choked by underwood. In the Copper Salmon, several different trails ascend to the abandoned lookout atop 3,579-foot Barklow Mountain. As it burrows through the tough, ancient rock of the northern Klamath Mountains, the regal Rogue River creates one of America’s most fabled whitewater runs. The best-known rafting lies between Graves Creek and Illahe, and the 35,620-acre Wild Rogue Wilderness backdrops a goodly portion of this, from Mule Creek Canyon to the river’s Big Bend. Midriver boulder piles, sheer cliffs, razorback ridges, craggy knobs: This is gnarly countryside, rising from a couple hundred feet above sea level along the Rogue’s bucking-bronco flow to 4,319-foot Mount Bolivar in the far north of the Wilderness. Geologically speaking, the Wild Rogue straddles the messy boundary between the Coast Range and the Klamaths. 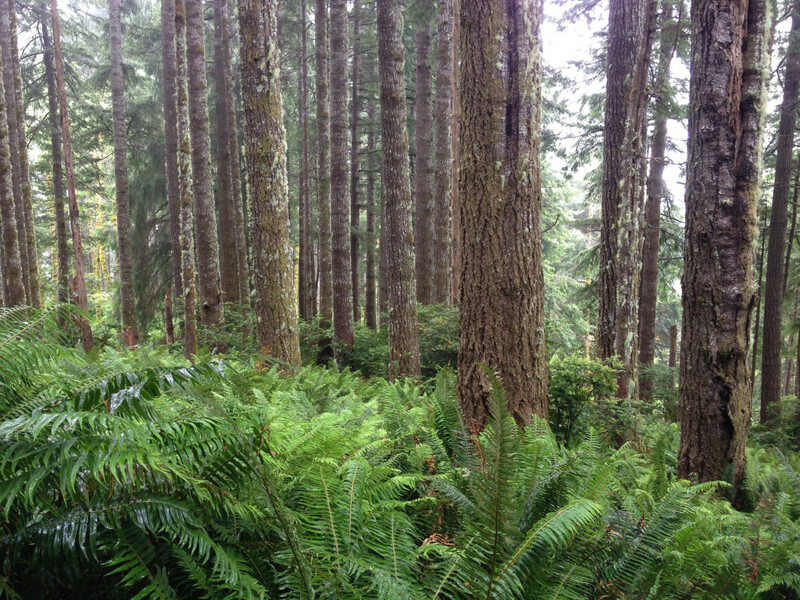 There’s a similar hodgepodge in the botanical department: deep groves of Douglas-fir and bigleaf maple, fragrant mixed woods of pine, oak, and incense-cedar, manzanita and live-oak brushfields, high beargrass swards. Wildlife-wise, the Wilderness may be most associated with the Rogue’s nationally significant salmon and steelhead runs as well as numerous black bears, but this is also primo habitat for bobcats and pumas, not to mention the big-eyed raccoon relative called the ringtail. Given the caliber of the wildwater and the severity of the terrain, it’s little surprise most of the action in this Wilderness, jointly managed by the Forest Service and the Bureau of Land Management, goes down on the river. Hikers and backpackers, though, have epic adventures of their own at hand, including the Rogue River Trail shadowing the celebrated whitewater stretch. The best views, meantime, come via heights north of the river: Trek to Panther Ridge, Hanging Rock, or Mount Bolivar for raven’s-eye prospects of the Rogue River Canyon and the rough-and-tumble mountains of the Coast Range/Klamath borderlands. The biggest coastal Wilderness by far—and the third-largest Wilderness in Oregon, after the Eagle Cap and Three Sisters—the 179,817-acre Kalmiopsis is a singular reservoir of wildness and biodiversity. 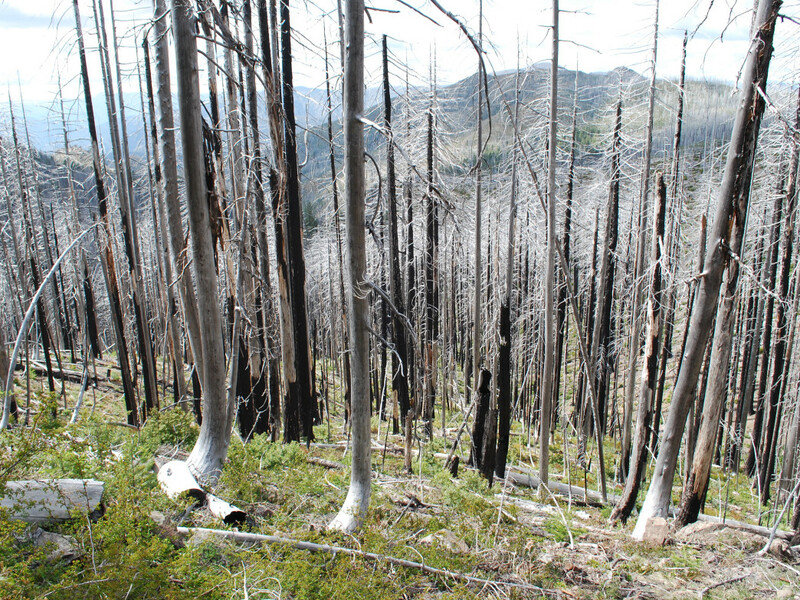 This geologically complex Wilderness protects a slew of rare plants—including the Brewer’s weeping spruce and the area’s namesake endemic shrub, Kalmiopsis leachiana—which found an Ice Age refuge in these Klamath highlands. The combination of such relic species, vegetation specially adapted to outcrops of serpentine (common here), and the overall Klamath mashup of Coast, Cascadian, and Sierran ecologies makes this one of the most botanically diverse temperate forests in the world. The Kalmiopsis Wilderness is also a signal fountainhead of southwestern Oregon and northwestern California’s Wild Rivers Coast: It protects the headwaters of the North Fork Smith River and the Chetco—two of the purest rivers on the West Coast—as well as a long, canyon-fortressed stretch of the mighty Illinois River. Two huge wildlands—the North and South Kalmiopsis Roadless Areas—flank the Kalmiopsis, together constituting nearly 200,000 acres many conservationists hope will ultimately attain official Wilderness status. From the crystalline waters of the Chetco and Illinois up tangled canyons to remote divides and blocky summits—the Big Craggies, Vulcan Peak, Chetco Peak, Pearsoll Peak, etc.—the Kalmiopsis is fiercely up-and-down country. 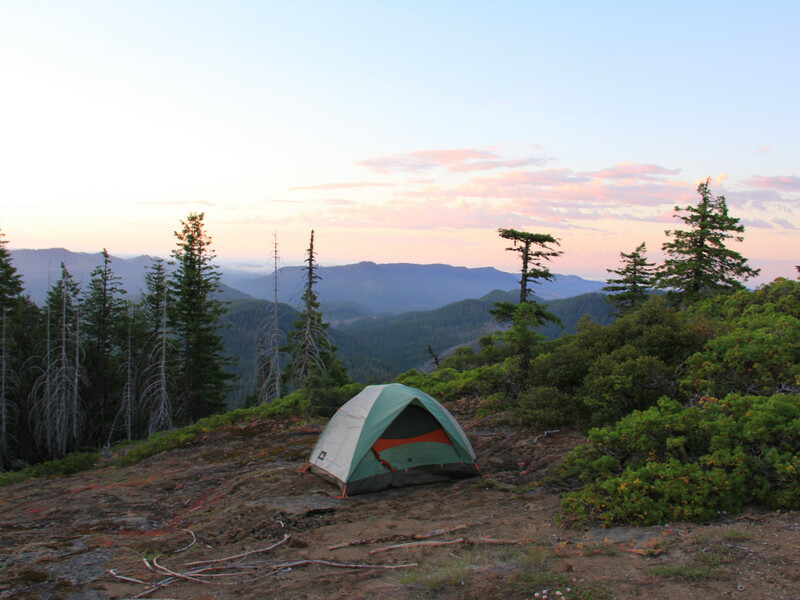 It’s big and rough enough to swallow up long backpacking odysseys of delicious solitude: the Chetco Divide Trail, say, or the 26-mile-long Trans-Kalmiopsis Route. And the Illinois and Chetco rivers offer among the best wilderness paddling in Oregon. Access : Some of these wildernesses are more accessible than others. Depending on how you approach them, you’re often in for miles of meandering, sometimes washboard or potholed backroads. Have a spare tire and other auto-emergency essentials on hand, and make sure you’ve got an adequately detailed map, as logging roads in the Coast Range and Klamaths can be downright maze-like. Also, drive cautiously: These roads tend to be narrow and hairpin, and you never know when another car—or, worse yet, a logging truck—may come barreling around the bend. Weather : Though Oregon’s rainy season generally lasts from mid-autumn through spring, the coastal mountains frequently experience summertime fog and drizzle. Pack raingear whatever the month. Bushwhackers can expect to get wet and muddy anytime, but even trail hiking on a sunny day can be an exercise in sogginess when overhanging shrubbery and path-side herbs are wet with fog-drip. Cross-Country Travel : Off-trail hiking in Oregon’s coastal ranges is challenging, to say the least (though, again, elk trails may provide passage). In the Coast Range wildernesses, you’ll be navigating understory tangles of salmonberry, elder, salal, evergreen huckleberry, and hemlock saplings, plus sharp slopes bristling with neck-high sword fern and scattered beds of spiny devil’s club. In the Klamath wildernesses, add to the mix underwood jungles of broadleaf evergreens, tracts of near-impenetrable chaparral, and thickets of poison-oak. In all of these wild lands, furthermore, the deadfall can be of mammoth dimensions. Thick ferns or salal can completely mask drop-offs and logs. Use trekking poles to test the footing. Sometimes stream-walking is the easiest way through Coast Range rainforest. Just remember that rapids, waterfalls, and logjams are common, and that the coastal streams are flashy, rising swiftly under heavy rain. Critters : The coastal mountains of Oregon make some of the best black-bear habitat in the U.S. The bruins are most notably an issue in the Wild Rogue Wilderness, where they regularly scout river-runner campsites for nibbles. There and in all the other wildernesses, abide by bear-aware campsite practices, and make extra noise when passing through fruiting or mast-heavy brushlands, or swales and river bottoms in lush spring green-up. Pumas are found in all of these wildernesses; the Klamaths, in fact, are just about the best cougar habitat in Oregon along with the northeast’s mountains and canyonlands. You almost assuredly won’t see one, however, and their presence adds a richer dimension to the verdant backcountry. In the Wild Rogue and Kalmiopsis, keep an eye peeled for Pacific rattlesnakes (docile as a rule). More troublesome are the yellow jackets that the Klamaths are somewhat notorious for.